There is nothing like the sense of freedom and adventure that comes with an ATV. Spinning through the mud, navigating a forest trail or simply driving back to your deer stand -- wherever you love to ride, you know the thrill of ATVing. 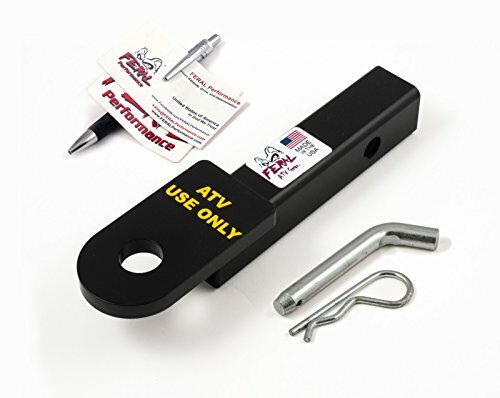 CURT ATV towing products allow you to maximize your ATV experience by giving you functional equipment that is built to last.The CURT bolt-on ATV adapter is a multi-functional piece of equipment that helps make the most of your ATV. The adapter simply bolts onto the ATV tongue using the included hardware and provides a 2" x 2" receiver tube opening to accept a ball mount shank or some other towing accessory. The CURT bolt-on ATV adapter has a strap ring welded right onto its frame, providing a solid attachment point for a tow strap or rope, and it also features a stabilization plate that keeps the adapter and subsequent load from swaying and swiveling during travel. It is made from quality steel and is welded together with precision. We coat the CURT ATV ball mount adapter in a gloss black powder coat finish to ensure long-lasting prevention of rust, scratching, chipping and UV damage.Whatever your all-terrain vehicle of choice -- quad, quad bike, three-wheeler or four-wheeler -- give yourself the advantage with CURT ATV towing products. This gorgeous MadDog Gear three way ATV hitch has the finest details and highest quality you will find anywhere! 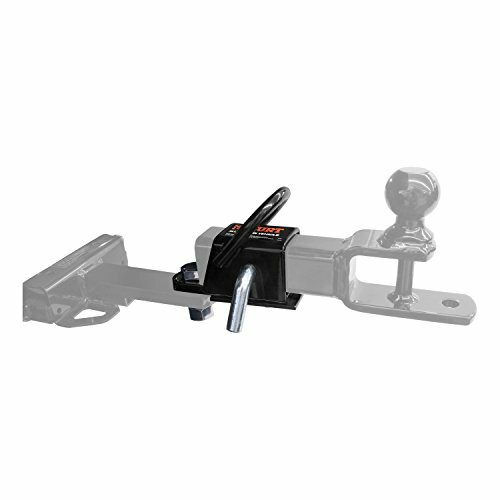 MadDog Gear three way ATV hitch is truly remarkable. 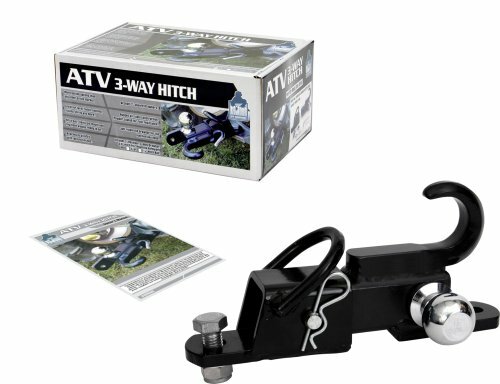 Product details: • condition: brand new • item SKU: ss-sms-4003570 • information: you'll always be ready to pull just about anything when you ride in with a three way ATV hitch secured to your ATV or UTV. Just move your ball hitch over to this attachment and you'll also be able haul with a pin pull or tow strap. The patented design won't affect ground clearance. Its easy-to-install screw and bolt attachment system is part of the heavy-duty metal construction that's guaranteed to last pull after pull, haul after haul. Ball not included. 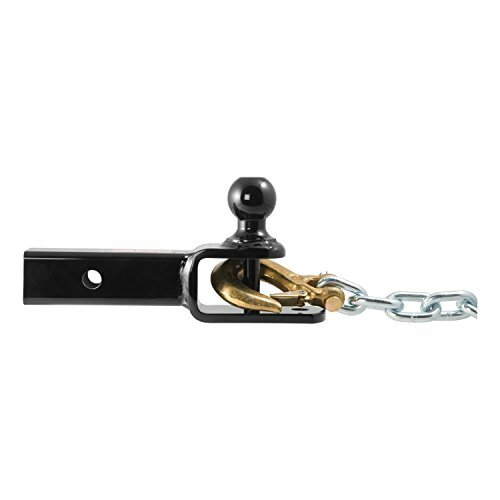 Specification: Reinforced Tie Down/Tow Loop, Fits All Class III/IV 2 inch Square Receivers Hitch Tube; 1/4 inches Rise, 5-1/2 inches Length (center of hitch pin hole to the ball center); Includes Permanently Attached 2 inch Balls, 1/2 inch Clevis Pin and 5/8 inch Clevis Pin Hole, Use 5/8 inch Hitch Pin Kit or Lock; Finished in Black Powder Coating Provide Durable Enhanced Rust and Corrosion Resistance; Heavy Duty Steel via Robotically Welded for Superior Strength provide excellent mounting facility; ABOUT US HiTow is a manufacturing enterprise specialized in the manufacturing and selling of sheet metal structures. We have a product R&D institution ,strict quality control group and specialized product testing equipment which guarantee the stable product quality control. Our products are widely used in automobile, ATV, motocycle, our products are exported to North America, Australia and other regions. There is nothing like the sense of freedom and adventure that comes with an ATV. Spinning through the mud, navigating a forest trail or simply driving back to your deer stand -- wherever you love to ride, you know the thrill of ATVing. CURT ATV towing products allow you to maximize your ATV experience by giving you functional equipment that is built to last.Alongside the ATV cargo carriers that we carry, CURT ATV ball mounts turn your 4-wheeler adventures into more than just joyrides. 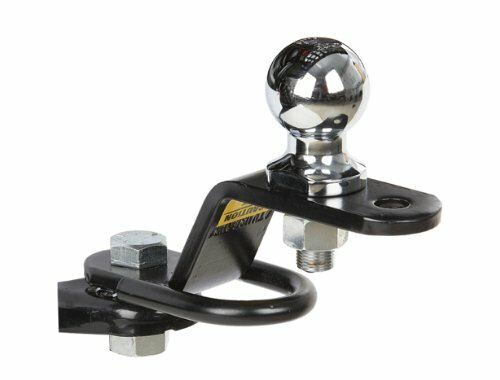 These sturdy ball mounts provide you with multiple towing capabilities in one package. The CURT 3-in-1 ATV ball mount has multiple features, including a trailer ball for towing a small trailer, a clevis pin that accepts a tow hook or lunette ring for straight towing and a 5/8" hole for coupling a pin-style coupler. With its 2" x 2" shank, the 3-in-1 ATV ball mount lets you get more done no matter what your project may be. It is made from quality steel and is welded together with precision. We coat the CURT ATV ball mount in a gloss black powder coat finish to ensure long-lasting prevention of rust, scratching, chipping and UV damage.Whatever your all-terrain vehicle of choice -- quad, quad bike, three-wheeler or four-wheeler -- give yourself the advantage with CURT ATV towing products. The Black Boar Multi-Hitch is an incredibly useful addition to your ATV or UTV. 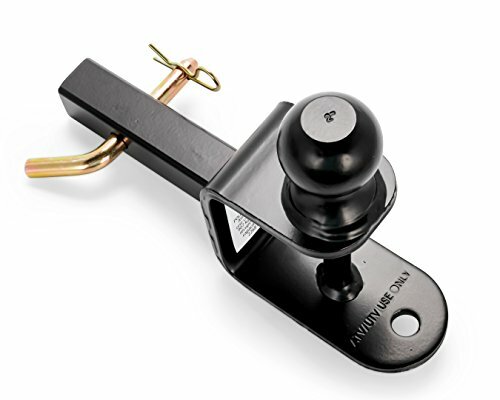 The Multi-Hitch connects to the hitch receiver with a hitch pin and bridge pin, and creates a convenient hitch ball, winch strap loop and ⅝" pin hole for yard equipment, utility trailers and other towable accessories. This Multi-Hitch features a 2-inch ball, 1-1/4" shank, ⅝" pin hole, 1/2" hitch pin and a bridge pin. The shank is 6" long. The hitch ball has a 2-inch rise to give sufficient ground clearance in most applications and is rated for up to 2,000 lbs. The Winch Strap Loop is rated for up to 5,000 lbs. Constructed of durable, powder-coated steel. UNLOCK YOUR LAWN TRACTOR OR ATV POTENTIAL AND TOW ANYTHING YOU NEED! Most standard hitch balls do not fit or accomodate your lawn tractor or ATV's needs. Ours will fit perfectly into your setup and make your tractor or ATV into a productive workhorse. Use our hitch ball to unlock the potential. 1.) Tow Utility Trailers, Log Splitters and Anything Else - Move your trailers, splitters and anything else with ease. 2.) Fits Most ATV and Lawn Tractors - 5/8" shank diameter fits directly into your ATV or lawn tractor's tow point. 3.) Standard 2" Trailer Couplers - Our trailer couplers support 2" hitch ball setups, 1-5/8" shank length. 4.) Corrosion and Rust Resistant - Chrome-plated solid steel exceeds SAE J-684 standards. 5.) Tow Anything you Need - 2,000 lb. GTW allows your lawn tractor or ATV to tow anything. Our Company PromiseAt Connor, we are devoted to a complete line of products using cutting edge technology with the expertise and ingenuity to produce superior products that are durable and dependable. We continually develop and apply the newest advancements in technology to provide customers with quality products without the inflated price tags. Our motto is and always will be "Unbeatable Quality and Value." The Komodo 3-Function ATV Hitch System provides more pulling options than any other on the market. It's great for farming, hunting, fishing, utility and more. The unique 3-function design allows you to have a hitch ball, clevis pin mount, and tow hook always ready to go all in one unit--just rotate the drawbar for the function you need. Don't waste time or space adding and removing hitch balls or lugging extra attachments around when you can have the convenience of this all-in-one design. 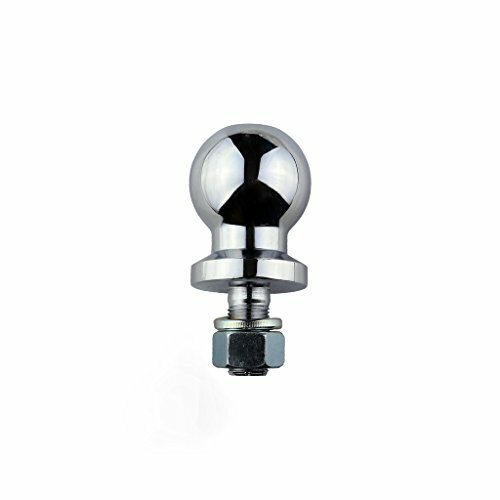 The receiver attaches to all ATVs and lawn tractors with factory hitches that accept a trailer ball. This receiver accepts 2-inch square drawbars. It includes a bolt-on receiver, a 3-way drawbar, a 2-inch hitch ball, pin, clip and mounting hardware. Towever is a professional supplier of towing accessories. 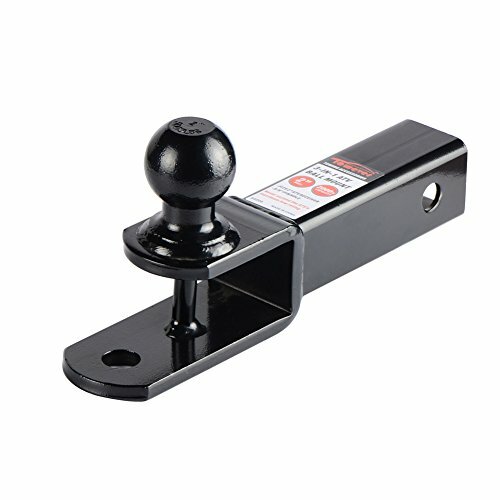 we offer our customers reliable service and dependable towing products.This 3 in 1 ball mount designed enable for multiple towing capabilities without needing to install or own an entirely different ball mount. 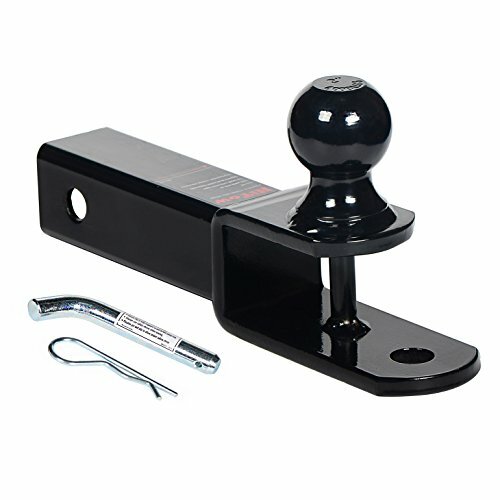 Suit 2" x 2" receiver hitch opening.Hitch balls are permanently attached.Hollow shank is sturdy yet lightweight.Black powder coated steel is durable and corrosion resistantHitch pin kit need purchase separate.